Witchcraft violence is a feature of many contemporary African societies. In Ghana, belief in witchcraft and the malignant activities of putative witches is prevalent. Purported witches are blamed for all manner of adversities including inexplicable illnesses and untimely deaths. As in other historical periods and other societies, in contemporary Ghana, alleged witches are typically female, elderly, poor, and marginalized. Childhood socialization in homes and schools, exposure to mass media, and other institutional mechanisms ensure that witchcraft beliefs are transmitted across generations and entrenched over time. 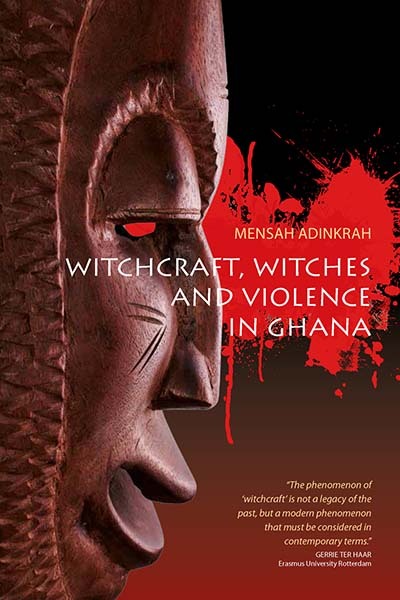 This book provides a detailed account of Ghanaian witchcraft beliefs and practices and their role in fueling violent attacks on alleged witches by aggrieved individuals and vigilante groups. Mensah Adinkrah, Ph.D., is Professor of Sociology and Criminal Justice at Central Michigan University. He was a U.S. Fulbright scholar to Ghana and has held positions at University of the South Pacific and Metropolitan State University. Adinkrah is author of Crime, Deviance & Delinquency in Fiji (1995), Violent Encounters: A Study of Homicide Patterns in Fiji (1996), and numerous scholarly articles.